Sunday, June 8th: Raspberries, Apriums, Snow Peas, Sheep Feta & More! Apriums from Collins Family Orchards. Photo copyright 2014 by Zachary D. Lyons. Wow! The summer crops keep rolling in early! These are apriums from Collins Family Orchards. They are a hybrid of apricots and plums, genetically 70% apricot and 30% plum. They favor apricots in appearance and flavor, though they are sturdier, making them good for hikes and lunch boxes, and they are the first large stone fruit of the season. Ripe and ready now! Snow peas from Alvarez Organic Farms. Photo copyright 2014 by Zachary D. Lyons. Just last week, we were celebrating the first sugar snap peas of the season from Alvarez Organic Farms. This week, we cheer for snow peas! I sautéed a bunch of these Friday night with some of their green garlic and green sweet onions, and served it alongside a nice grilled King salmon fillet from Wilson Fish. Now, that’s living! Raspberries from Sidhu Farms. Photo copyright 2011 by Zachary D. Lyons. And under the heading of, “could life get any better?” come the first raspberries of the year! Yes, Sidhu Farms wins the derby on them. And we checked… this is the earliest we’ve ever had raspberries at your Ballard Farmers Market! Sheep feta from Glendale Shepherd. Photo courtesy Glendale Shepherd. Glendale Shepherd has its first sheep’s milk feta of the season today at your Ballard Farmers Market. This is the feta they eat in Greece, where sheep reign and cows are less common. So enjoy a little old world flavor, not from the Greek Islands, but from Whidbey Island! Cucumbers from Nash’s Organic Produce. Photo copyright 2011 by Zachary D. Lyons. And how crazy is this? 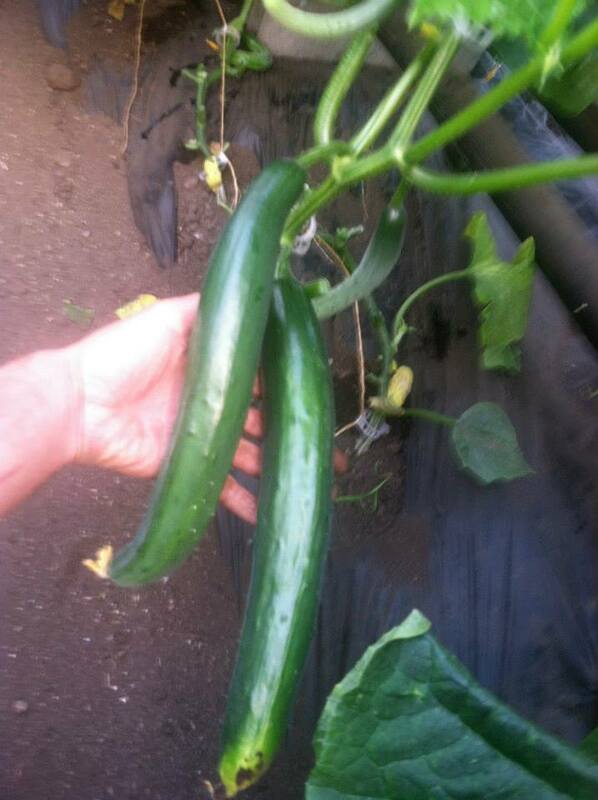 Nash’s Organic Produce has cucumbers today! Yes, you heard me right! And they also have strawberries, spinach and, wait for it, even a little basil! Tieton cherries from Lyall Farms. Photo copyright 2014 by Zachary D. Lyons. These are Tieton cherries from Lyall Farms. A big, bold, full-flavored cherry, they are the cherry’s cherry. You want dark? You want to know you are actually eating a cherry? Heck, you want to keep your gout away?!? Eat a handful of these bad boys a day! Dwarf sunflowers from Summer Run Farm. Photo copyright 2011 by Zachary D. Lyons. Summer Run Farm, from just over in Carnation, is known for their huge heads of lettuce. But they are also known for these adorable dwarf sunflowers. Why not pick up a few for your planter box? Oh, and Growing Things Farm is offering your fourth garden start free when you buy three plants today. So stop procrastinating, and get planting! Organic asparagus from Alm Hill Gardens. Photo copyright 2014 by Zachary D. Lyons. Asparagus season is going to go away this year as quickly as it came on, what with our warmer and sunnier than normal weather. So don’t miss out on this wonderful organic asparagus from Alm Hill Gardens. Get it while you can! Zucchini from Colinwood Farm. Photo copyright 2014 by Zachary D. Lyons. And how about this? Yes, this is zucchini! I took this photo last Sunday, in fact. Colinwood Farm manages to always be the first farm with summer squash every year. 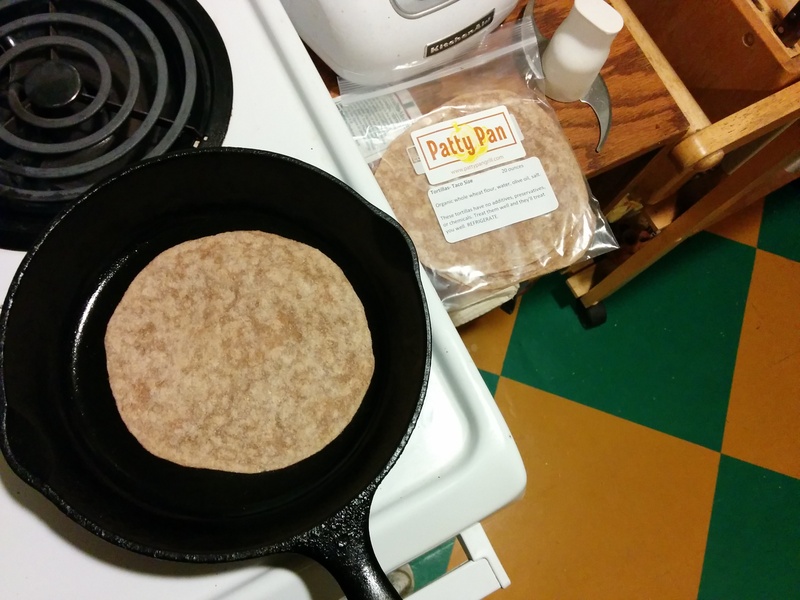 In fact, I had someone ask me recently, “Where’s that zucchini coming from in Patty’s Pan’s quesadillas?” Colinwood, that’s where! Purple kohlrabi from One Leaf Farm. Photo copyright 2014 by Zachary D. Lyons. How about some lovely, and colorful, purple kohlrabi from One Leaf Farm? Remember, you can eat the greens and the bulb on it. And One Leaf has doubled the number of varieties of heirloom lettuces they have on their tables this week! Lettuce from Children’s Garden. Photo copyright 2014 by Zachary D. Lyons. Short, and very sweet this week, given all the fruit and peas coming into season, we finish off this week’s epistle with a summer staple: lettuce. Our buddies at Children’s Garden have lots of it right now, as well as mint, cilantro, rosemary, parsley and many other fresh cut herbs. And don’t forget to grab one of their beautiful bouquets of flowers, too! Sunday, July 28th: Juicy Melons, Heirloom Tomatoes, Ginormous Zucchini, Donut Peaches & Ladybugs! A ladybug on a thistle flower from The Old Farmer. Photo copyright 2013 by Zachary D. Lyons. When’s the last time you saw a ladybug crawling around on flowers at a Big Box store? Round about never, I’d imagine. But ladybugs are common here at your Ballard Farmers Market! This one is on some beautiful thistle flowers from The Old Farmer. And this year, you will find bouquets of flowers here like never before, because so many kinds of flowers are in bloom all at the same time! Cantaloupe melons and Yellow Doll watermelons from Lyall Farms. Photo copyright 2013 by Zachary D. Lyons. Lyall Farms has the first melons of the season today! They just started harvesting these cantaloupes and Yellow Doll watermelons this week. And yet again, their arrival is the earliest we’ve ever recorded. So dive in, folks! This summer is awesome, and who knows when we’ll get the next one like it. Heirloom tomatoes from One Leaf Farm. Photo copyright 2013 by Zachary D. Lyons. One Leaf Farm has been teasing us for the last couple of weeks with their first heirloom tomatoes of the season, and the early birds got them. Well, now, the teasing is over, and we all are in the tomatoes! This is the scene from their tables at our sister Wallingford Farmers Market this past Wednesday. Oh, yeah, baby! Donut peaches from Tiny’s Organic Produce. Photo copyright 2013 by Zachary D. Lyons. Ah. My favorites peaches. These are donut peaches – Saturn donut peaches, to be precise — from Tiny’s Organic Produce. I remember when I first encountered these back in 1999. They were just then beginning to be grown significantly by orchardists here in Washington, and as such, they began making their first appearances in local farmers markets. I came across them when I was visiting the Yakima Farmers Market for the first time — it opened that year. I stayed at a B&B just up Highway 12 in Naches, and that B&B was surrounded by orchards, one of which was full of these funny looking fruits. My hosts offered me one, and I fell instantly in love. They are sweet, juicy, have a tiny, easily removed stone, and are nice and small, so I found them easier to eat, and a lot less messy. And they are delicious. My hosts sent me home with an entire box of them! If you haven’t tried them yet, today’s a great day for them. They are excellent picnic food, and they are great for hikes, too! It continues to be a spectacular year for grilling, and that means you’ll need some of this beautiful wild Washington coastal king salmon from Wilson Fish for the barby. I recommend picking up some alderwood smoker chips, too, or better yet, cut some fresh alder branches off of your tree — get ones that are pinky to index finger in diameter and cut them 3-4″ long — and toss them on your hot coals before putting your fish on the grill. The alder smoke with make for absolutely amazing flavor in your salmon! Slinging fish tacos at Los Chilangos. Photo copyright 2013 by Zachary D. Lyons. Speaking of fishliciousness, how’s about fish tacos from Los Chilangos right here at your Ballard Farmers Market? They use fresh rockfish from our own Wilson Fish, and cook it up to order for you. Sure, you can find fish tacos other places, but can those places tell you the name of the people who caught that fish, let alone be able to direct you just a few feet up the street to where they are standing selling their fish? Summer chanterelle mushrooms from Foraged & Found Edibles. Photo copyright 2013 by Zachary D. Lyons. Wow. Yet another crop arriving earlier than we’ve ever recorded. These are wild summer chanterelle mushrooms from Foraged & Found Edibles. And when I took this photo last week, they also still had morel mushrooms. Yet again, the spring meets the fall in the middle of summer in this extraordinary year we call 2013! Fresh chevre from Twin Oaks Creamery. Photo copyright 2013 by Zachary D. Lyons. Speaking of the department of redundancy department, have you tried one of the several flavors of chevre (fresh goat cheese) fromTwin Oaks Creamery? They are wonderful, with a nice bit of sweetness and tang. Grab a loaf of bread from Tall Grass Bakery, tear off a hunk, slather some of this on it, and you are all set! And don’t forget to try out their fresh goat yogurt and goat and cow milk, too. Sangiovese from Kitzke Cellars. Photo copyright 2013 by Zachary D. Lyons. Kitzke Cellars returns today to your Ballard Farmers Market… hopefully with some of this lovely sangiovese. And if we’re lucky, they’ll have some more of their recently bottled rosé, too. Cuz it has been some serious rosé weather this summer! Pickles from Purdy Pickle. Photo copyright 2013 by Zachary D. Lyons. Look, kids! It is a fresh batch of whole dill pickles from Purdy Pickle! Woohoo! And lucky for them… and us… pickling cucumber season started waaay early this summer, which means so too does pickle season. Grab a jar and get your pickle on today! Huge zucchini from Children’s Garden. Photo copyright 2013 by Zachary D. Lyons. And finally, I promised you ginormous zucchini, and here they are! No, that is not an optical illusion. They are bigger than Chai’s head. You could hunt moose with them. Or make a lot of zucchini bread. Back in my days at Olympia Farmers Market, a lifetime ago, we called zucchini this big “Norwegian trout” for some reason, though I cannot now recall why. “Viking battle club” might make more sense. Sunday, June 12th: Congrats To Tahuya Ben, Schmaltz, Strawberries, Broccoli, Zucchini, Cherries, Snow Peas & Other Stuff We Thought Would Never Arrive! Honey from Tahuya River Apiaries. Photo copyright 2010 by Zachary D. Lyons. While we are not normally in the habit of telling you here about which vendors will not be at your Ballard Farmers Market on a given Sunday, we thought we’d make an exception this week for Tahuya River Apiaries. See, Ben and his wife had a healthy baby boy join them in this world Friday morning, two weeks ahead of schedule, and as a result, Ben’s a little busy today. We’ll let you know when he’ll be back with more of his amazing, wild-crafted honey, but in the meantime, congratulations, Ben. Enjoy your new son! Schmaltz, a.k.a., chicken fat, from Stokesberry Sustainable Farm. Photo copyright 2011 by Zachary D. Lyons. May the schmaltz be with you! Schmaltz, or chicken fat, is also known as Jewish butter. It is an ancient form of cooking fat, and when it’s from healthy chickens, like the chickens raised by Stokesberry Sustainable Farm, some argue it is actually a healthier form of fat than many others in our diets these days. You may want to argue the point, but I wouldn’t if I was you. You’d be taking on generations of Jewish mothers, grandmothers and aunts, and face it, you will never know better than they do! Strawberries from Billy's. Photo copyright 2011 by Zachary D. Lyons. Okay, once you are done screwing up your eyes to make sure you are seeing this image correctly, you will move onto the next natural question, which is, “Is this a current photo?” Yes, it is. I took it on Thursday at our Interbay Farmers Market. These are, in fact, some of the first strawberries of the year, grown by Billy’s over in Tonasket. They are ripe and red and delicious, and we’ve paid dearly at the hands of the now thankfully departed La Nina, waiting for strawberries to finally arrive this season. Well, here they are. But trust me, they will sell out fast! Get here early!!! Broccoli from Oxbow Farm. Photo copyright 2011 by Zachary D. Lyons. What the…?!? Again, you eyes do not deceive you! That is broccoli. Again, first of the season from Oxbow Farm. Again, get yourself down here wicked early, as they say in Boston, as this stuff will undoubtedly sell out even before the strawberries do! Porcini, a.k.a., King Bolete mushrooms from Foraged & Found Edibles. Photo copyright 2011 by Zachary D. Lyons. And more fungus, finally! You know it has been a crazy winter when we have to wait until June for our spring mushrooms to come in, but alas, here they are. Yep, them’s porcini mushrooms alright. From Foraged & Found Edibles. I’m thinking grilling them alongside some asparagus and salmon, eh? Burlat cherries from Lyall Farms. Photo copyright 2011 by Zachary D. Lyons. Of, stop it, Zach, you’re killing us! After weeks of lettuce and kale and more roots than we ever want to think about, are those really cherries? Yes, they are! In fact, they are burlat cherries, the first variety of cherries Lyall Farms brings to market each year from their orchards in Prosser. Woohoo! Zucchini from Colinwood Farms. Photo copyright 2011 by Zachary D. Lyons. Okay, now you think I’m just messing with you. I mean, really, that can’t be zucchini! Au contraire! I also captured this zucchini this past Thursday at Interbay Farmers Market. Colinwood Farms grows it in their greenhouses over in Port Townsend. Life is good. Snow peas from Alvarez Organic Farms. Photo copyright 2011 by Zachary D. Lyons. Holy crops of summer, Batman! Are those peas?!? Yes, they are, Boy Wonder. They’re snow peas from Alvarez Organic Farms. Kappow! Zap! Kursplat! Sauté! Good riddance, La Nina. Don’t let the new coastal doppler radar station hit you in the bum on the way out! There is much more waiting for you at your Ballard Farmers Market today. Just check the What’s Fresh Now! listings in the upper right-hand corner of this page for a more complete accounting of what is in season right now.